I used the beautiful artwork of © Anna Marine for this tag. You can purchase this artwork here at CDO I also used a template from Dee which you can get at Dees' Sign Depot. I used a beautiful kit from Irish Princess Designs due to come out on Sunday, April 27th called "Moonlight". This is a beautiful kit that has 15 papers and 90 elements to play with and it truly magical! You will be able to purchase it at Scrap Candy. I used a wonderful FTU animation from Scrappy Bit of Fun for the animation in the lantern..you can get it HERE. The beautiful star galaxy animation tho is a PTU one from Lorraine (from Scrappy Bit of Fun) that she sells under the name of Sophisticat Simone that you can purchase in Animation Pack 17, animation #51 at CDO. I used an awesome new commission tonight donated to Creative Misfits from Heidi..tysm sweetie! It is beautiful! It is from © Alicia Mujica and FAB! I used "Gardenia" scrapkit from Irish Princess Designs for the paper and elements. They are stunning! You can pickup this kit at Scrap Candy. For the animated waterfall and trees..now this is a brillant animation by the very talented Lorraine, aka Sophisticat Simone. It is from her PTU Animation Package 71 (animation 211) which you may purchase at CDO. It has 2 other beautiful animations in the package. Now the butterfly I found on the web. Loved making this one! Thanks ladies for supplying me all the wonderful goodies!!! Using the beautiful artwork of © Alicia Mujica called "Luna" which you can purchase from her store HERE. 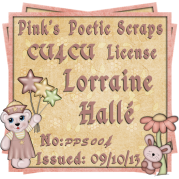 I used template #546 from Millie's PSP Madness along with the FAB scrapkit of Irish Princess Designs called "Gardenia" which you can purchase at Scrap Candy. I animated the butterfly myself; however the awesome wishing well animation is from the lovely Sophisticat Simone who sells at CDO. You can purchase this animation at CDO. I had another play today with the FAB kit of Hania's Designs called "Lady of Darkness" which you can purchase at her store HERE. This was a made-to-match © Trinita's tube of the same name available at PFD. 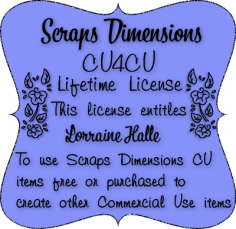 I used several FTU animations by the lovely Simone of Scrappy Bit of Fun. I used animation #134 for the fire coming out of her hand, #489 for the dripping blood and for the background #108 but I flipped it vertically.